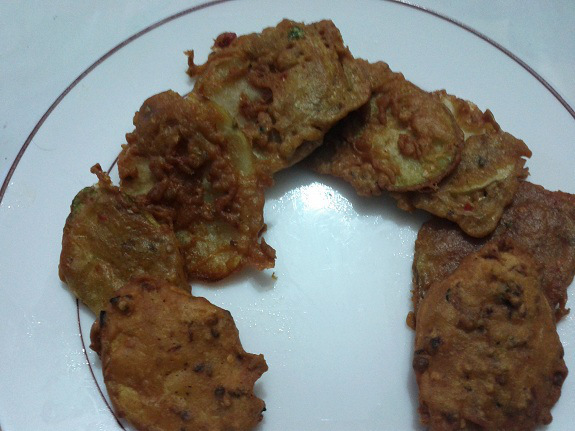 Easy way to crave your hunger with something fried from potatoes is Potato Kababs / aloo besan cutluts. I usually love to have these in evening snack especially in winters. Its a healthy food for kids too and they would love to have it with ketchup. Peel and cut potatoes in round shape pieces of about 1 cm thickness or as desired. Put these pieces in a bowl and add salt and pepper and mix them well with potatoes. In another mixing bowl, add all the other ingredients and mix well. Add water to the besan mix to make a thick paste, paste should not be very thick nor very watery. Heat oil in a pan and take potato pieces one by one, roll them in besan paste, and deep fry them in a pan. When besan is cooked and color get brown, its done. When all fried, dish them out. Serve hot with ketchup.